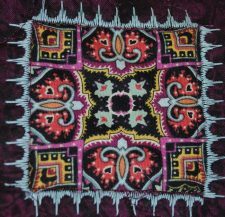 This quilt uses the techniques of Paula Nadelstern to create the basic kaleidoscopic design. 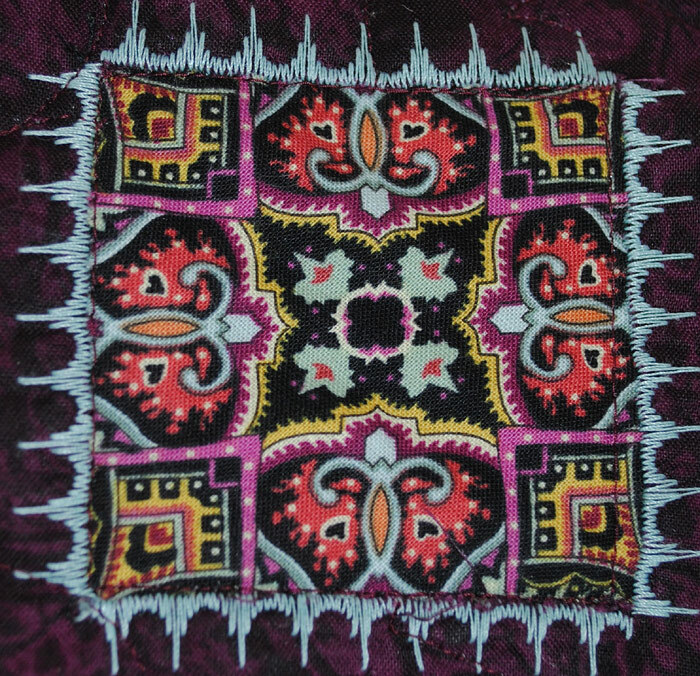 The final border of the quilt includes insets with decorative stitching. 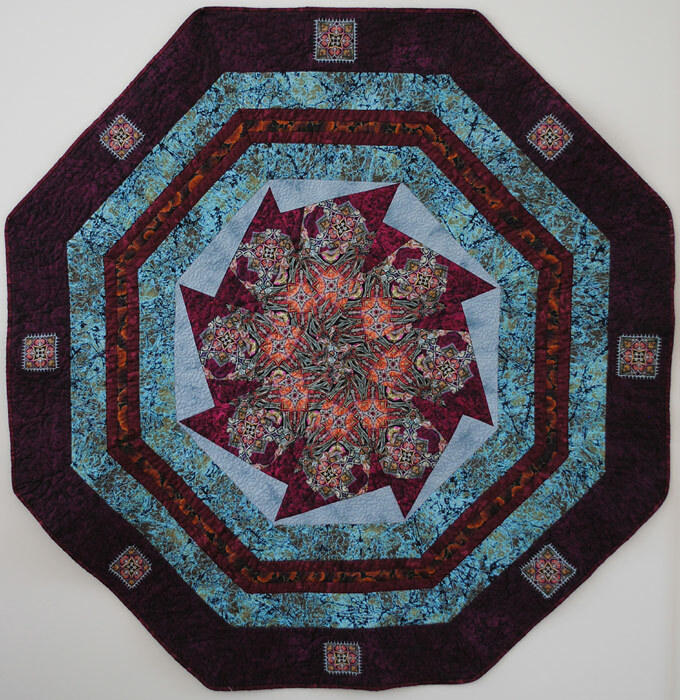 The finished quilt is 100% cotton and is approximately 52″ from the center of one side of the octagon to opposing center.